Gambling has its roots tied to some of the earliest known human civilisations, and is considered one of mankind’s oldest activities. But where was the first land-based casino ever built? This article takes a look at the fascinating origins of the earliest casinos, and the most famous venues of the modern day. With ample references to gambling and lots in the Bible, the Chinese also documented forms of gambling dating back to around 2300 BC, while early European history features a host of laws and decrees which prohibited the activity, testifying to the popularity of gambling in society. So while lots and gambling have been around for thousands of years, the more recent development of regulated gambling houses can be traced back to the mid-1600s, or more specifically, 1638 – the year the Casino di Venezia in Venice, Italy was built and opened. Amazingly, the Casino di Venezia is still in operation to this day, with its charm, reputation and prestige remaining a tribute to the decades of entertainment it has provided. 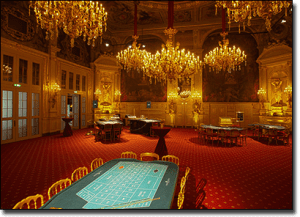 The historic venue hosts European and American gaming tables, along with over 600 slot machines, and tourists and locals flock to this gaming establishment by the hundreds of thousands each and every year to see its rich and vibrant history, stunning design and elegant backdrop. Gambling continued to gain popularity throughout the following centuries, as more and more brick and mortar casinos began to pop up across many different continents around the world. Records from Statista.com, Wikipedia.com and WorldCasinoDirectory.com suggest there were approximately 3,500 land-based casino establishments across the globe as of the last five years. Where does the word casino come from? The word casino has Italian origins dating back to the mid 18th century, and is derived from the terms ‘cascina’ (Italian) and ‘casa’ (Latin), which mean little house and cottage, and relate to a house of entertainment. Casino Baden-Baden (Germany) – Famous for its world-class spas and casino, the Casino Baden-Baden was opened to the public back in 1809 and features some brilliant and unmistakable architectural characteristics. Closed during both world wars, it was reopened and has since been renovated numerous times. The Bellagio (Las Vegas) – Built in 1996 and opened in 1998, the Bellagio had a construction cost of 1.6 billion U.S. dollars. It has won the coveted AAA Five Diamond Award 14 times, and remains one of the most elegant and up-market casinos and hotels ever designed. Casino de Monte Carlo (Monaco) – Arguably one of the most famous land-based casinos in the world, construction of the Monte Carlo Casino began in 1858 and finished in 1863. It has featured in many cultural references, including the Ocean’s Twelve movie, and is often associated with James Bond. Caesar’s Palace (Las Vegas) – This Roman-themed casino hotel in Las Vegas was built in 1962 and features a total of five unique towers with more than 4,000 hotel rooms and a total gaming space of 166,000 feet squared. It is also an AAA Four Diamond design and has been renovated five times. 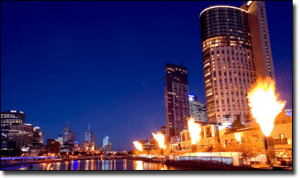 Crown Casino (Melbourne) – The largest casino complex and hotel in the Southern Hemisphere, with a space of 510,000 metres squared, the Crown Casino, a rebuilt version of the original 1994 complex, was reopened in 1997 and remains Australia’s most prominent tourist attraction. The MGM Grand (Las Vegas) – The MGM Grand was opened in 1975 and remains the second largest hotel in the world by number of rooms. It has hosted some of the most celebrated and acclaimed sporting events, including the biggest single event in Vegas history – the Floyd Mayweather vs Manny Pacquiao fight. The Venetian Macao and the Venetian Las Vegas – These two sister buildings are owned by Las Vegas Sands. The Venetian Macao is the the largest casino and seventh largest building structure in the world, while the Venetian Las Vegas is the world’s largest hotel. Gambling in regulated casinos across the world has soared in recent times, and the activity remains one of the most popular forms of entertainment for millions of people. While it remains taboo and illegal in many other countries around the globe, there is no doubting its success as an industry. Today, gambling has seen a shift from traditional land-based casinos to the online world, with Internet casino, poker room and sports bookmaker sites available on desktops, mobiles, tablets and Smart TVs to keen punters around the world. As technology develops, we can expect to see more avenues become widely available for people to pursue forms of gambling.